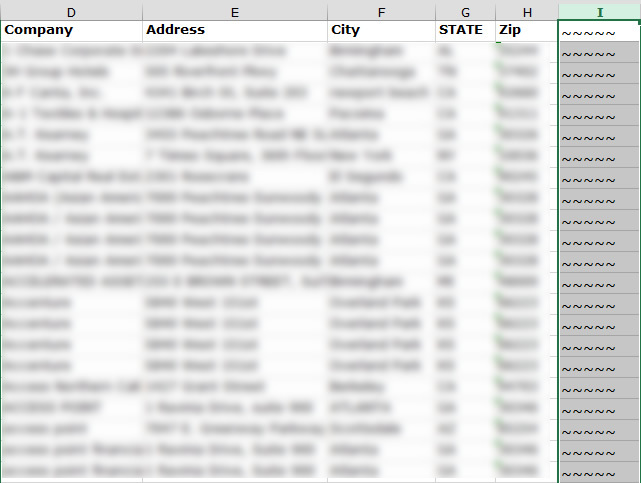 To fix your excel file, you’ll have to export it out of Excel as a tab delimited text file and open that file in Word. You’ll use Word to remove the excess returns. Save the file as text (tab delimited). Open the text file in Word. Pull down the File menu to Save As. Choose Plain Text. Choose MS-DOS encoding. Hit Save. Close the file. Open the text file again in Word. In Word, replace a return (^p) with a space. Click Replace All. Close the file and click Yes to save the changes. Now that text file can be opened in AccuZIP6 with File > Open List.